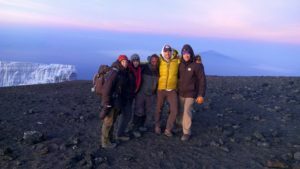 Home » Blog » SMI Kilimanjaro 2017 reaches the summit! 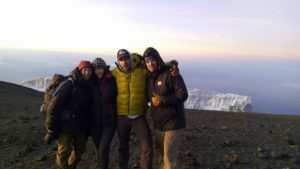 SMI Kilimanjaro 2017 reaches the summit! 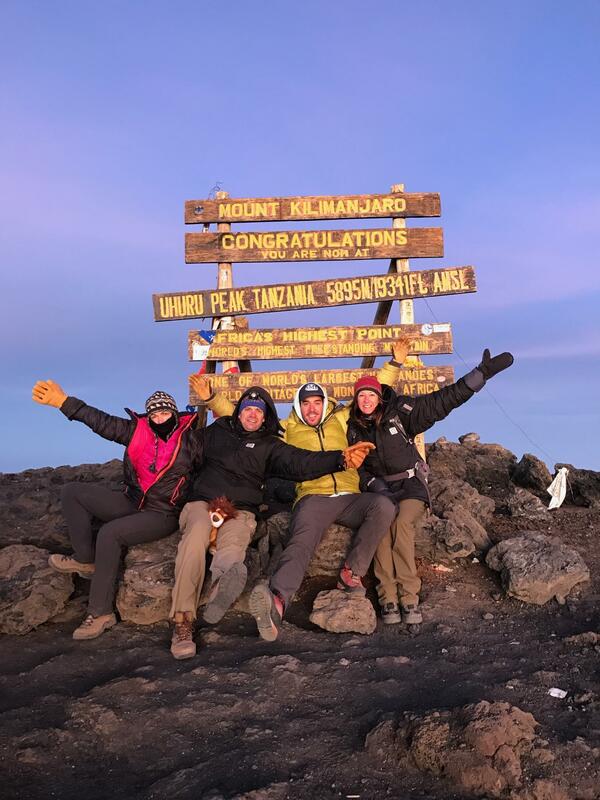 Today the whole team reached the Roof of Africa at 19,341 ft! 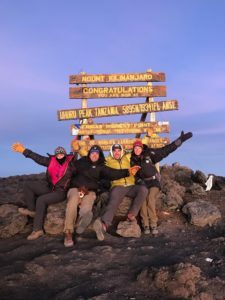 We left a blustery and cold Barafu camp at midnight and surprisingly climbed through the wind a few hours into our summit push. By daybreak we hit Stella point, the crater rim, and at 620am we stood at Uhuru peak, the summit! After the obligatory summit photos, glacier photos and high-fives, we started our descent back to Barafu for a tasty hot lunch. 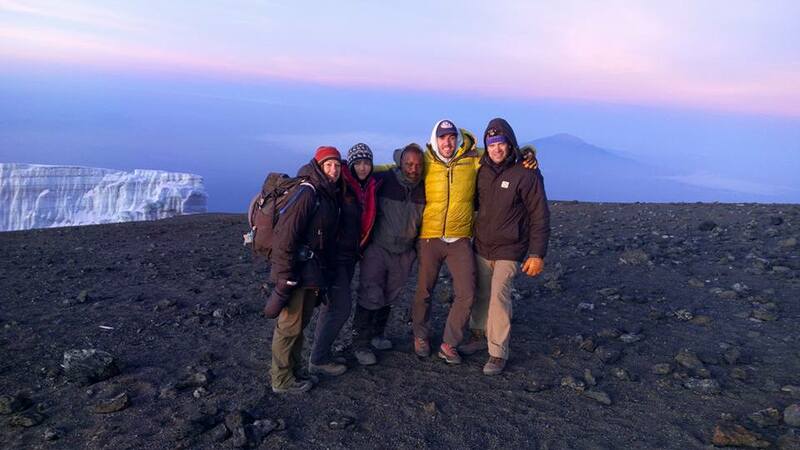 By Mid-day we were packed and hiking down to Mweka camp at 10,000ft, the team had some sore legs but powered through. Tomorrow we have a short hike out to the Mweka gate where we will sign out of the park and receive our well earned summit certificates! Today, our last day, we awoke from a well earned night of sleep! Ate breakfast, packed up and hiked out to Mweka Gate. The entire team felt strong, a result of a good nights sleep and the thick air at 10,000ft. We made great time down to the road, received our summit certicates from the park and jumped in our van. We spent the afternoon at the Springlands hotel, drinking beer poolside, celebrating our successful climb of Kilimanjaro!